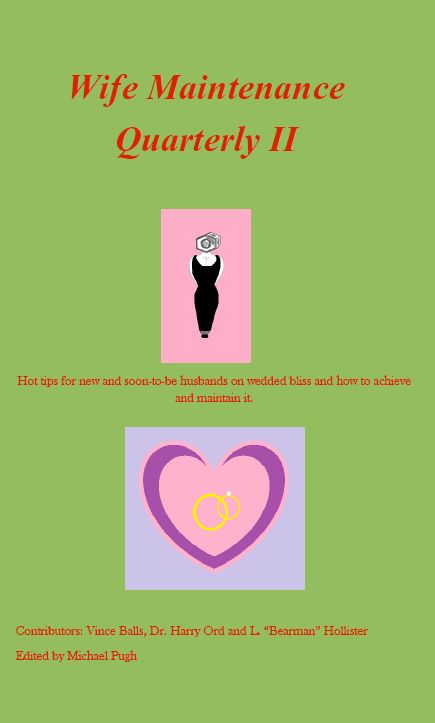 Book Giveaway For Wife Maintenance Quarterly! Yes, you went ahead and did it, took the plunge and got married. And now, it’s too late to give her back and you’ve realised what an unmitigated disaster the unattended woman makes of everything. The marriage guidance writers of the world renowned Institute of spousal correction, Wife Maintenance Quarterly, are here to help. Whether you’ve got a fat frau, an insolent missus or a lazy wretch of a little woman, we’ve got just the right insider knowledge on which nuts to tweak to get your capsizing marriage ship-shape and tight as an au pair’s briefs. 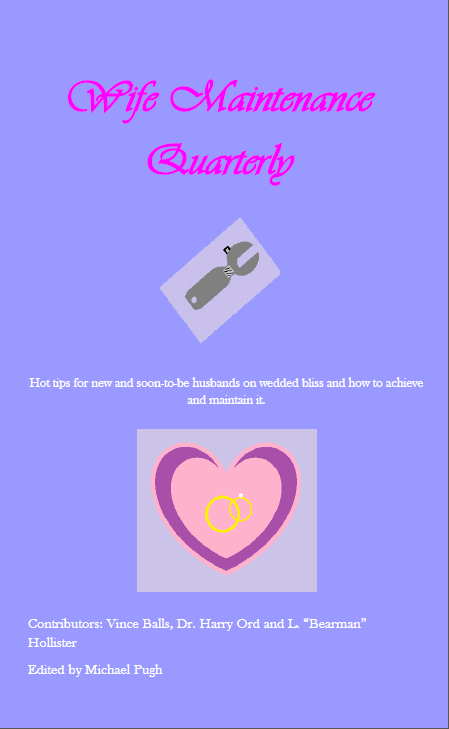 Whatever your marital situation, make room for Wife Maintenance Quarterly on your bookshelf! *Statistics show that at least 1 in 3 adult women can read. One of the most excellent things about blogs is finding out about books that are out there that I haven’t read yet. 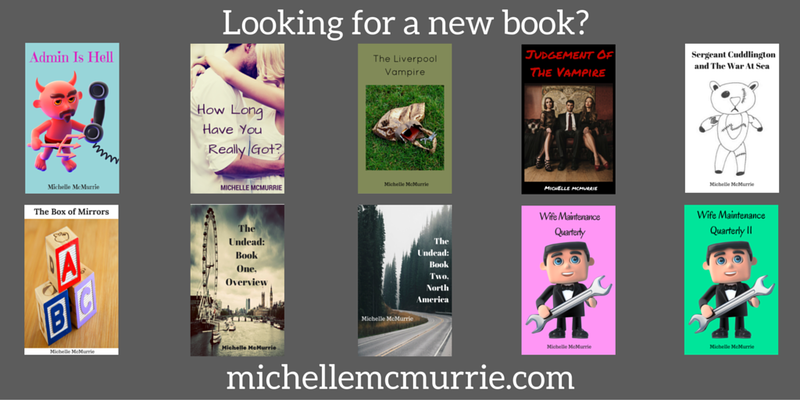 These are the last five books I added to my ever expanding ‘to read’ list on Goodreads! 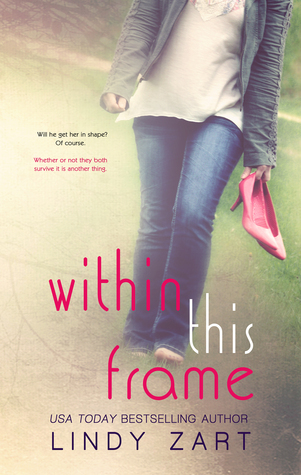 Click on the book cover to go directly to the Goodreads page. Each synopsis is taken from the relevant Goodreads page. Enjoy! 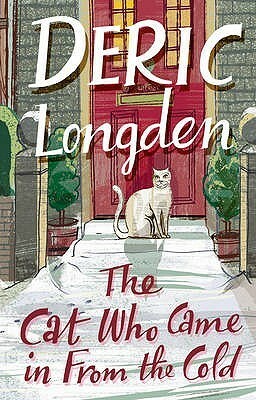 The little cat Deric Longden saw sitting forlornly on an upturned bucket belonged to the neighbours, but somehow when it began to rain it seemed only natural to bring him inside. Once there he slipped so easily into Deric and Aileen’s lives that there was an unspoken agreement that he had found his real home. Little did he know that he had entered the Longden world, in which the unexpected (almost) always happens. . .
Aileen being Aileen, it was probably inevitable that sooner or later the kitten would be trapped in the refrigerator. And Deric being Deric, the obvious way to thaw him back to life was to make a little coat for him out of a shrunken thermal vest. Thus the cat who came in from the cold got his name – Thermal – and joined the wonderful cast of characters in the ongoing Longden saga. When Eve Bennett is suddenly thrust into the role of single mother she finds herself putting her culinary training to use at Rosalind house. When she meets Anna and Luke she is moved by the bond the pair has forged. But when a tragic incident leads Anna’s and Luke’s families to separate them, Eve finds herself questioning what she is willing to risk to help them. Jenny Lopez has had a crappy twelve months. Determined to turn her festive frown upside down, she plans a super winter getaway for her nearest and dearest: ski cabin in Vermont, the best Christmas tree the world has ever seen and more bottles of champagne than is possibly legal to transport across state lines. But nothing goes to plan and before she knows it, Jenny’s awesome super funtimes Christmas has turned into a dry, dull couples’ retreat. But this is Jenny Lopez. She’s going to have the best Christmas known to man and she’s not prepared to accept anything less, even if it means snowshoe-ing to the nearest store and dragging a turkey three miles in the snow. Even if it means chopping up her beloved Christmas tree to start a fire. Even if it means standing up a hot, wealthy doctor (a doctor, people!) to make sure everyone gets the holiday they deserve. 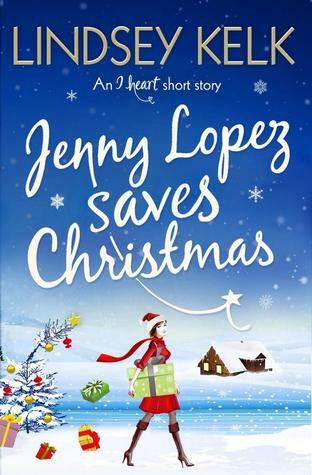 With her best friends, Angela and Erin, by her side Jenny Lopez is determined to save Christmas. Whether it likes it or not. 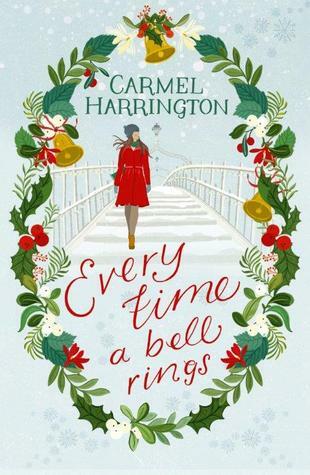 Full of Irish charm, magic, and the warmth of the festive season this is an emotional, heartwarming story that will stay with you long after you’ve reached ‘The End’. 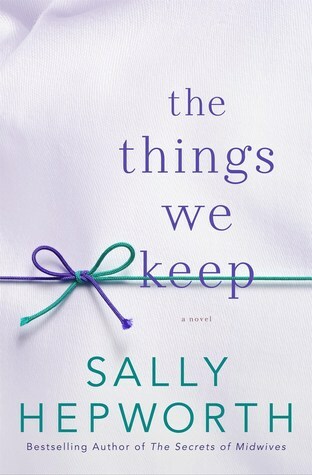 Perfect for fans of Cecelia Ahern & Jojo Moyes. Carmel is the bestselling author of The Life You Left & Beyond Grace’s Rainbow, voted Romantic eBook of the Year 2013. Our webshop is now live! I have just realised that I’d mentioned previously that I was creating a new webshop where lovely customers would be able to buy one of our paperback books. Well, it’s finally live and ready to go! I built it using Wix and I have to say that of all of the internet platforms I’ve used to build websites before, it’s the easiest site I’ve used! It’s so user friendly and I picked it up so quickly. I probably don’t use all of its functionality, but I’m really pleased with the website I ended up with! I’m so proud of Michael; he hasn’t let his brain injury hold him back and he inspires me every single day.